Steve Samson grew up spending summers in Bologna, Italy, his mother's hometown. Life in Bologna was centered around the dining room table. While cooking alongside his parents and grandparents, Steve realized a strong connection between food, family, and tradition. These early experiences have greatly influenced his point of view as a chef. 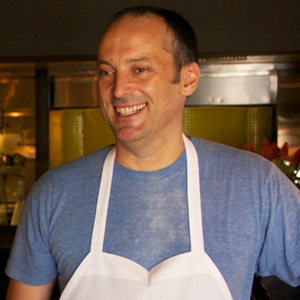 In 2011, Steve opened Sotto in Los Angeles with partners Zach Pollack, Bill Chait, and his wife, Dina Samson. Sotto achieved immediate acclaim, being named one of Esquire Magazine's “Best New Restaurants in America” and Los Angeles Magazine's #1 “Best New Restaurant". After four years, Sotto remains as popular as ever, largely because Chef Steve has remained committed as ever to tradition and craft. This grilled fish is packed with Mediterranean flavor to create a delicious and healthy meal. Mastering this machine will allow you to create impressive fresh pastas with ease and precision. These little bites are crispy on the outside, airy in the center, and make for a perfect snack or appetizer. From ravioli to tortellini, these stuffed pasta shapes bring a hint of Northern Italy to any kitchen. Mastering Italian pasta dishes, whether basic or advanced, always starts with properly cooked and seasoned noodles. Understanding the differences between pasta varieties will allow you to pick the best type for a recipe.